Piloting a roughshod starfighter through an asteroid belt while in a deadly dogfight with a trio TIE Interceptors is is everyone's dream. The amazing thing about the Star Wars RPG is that you can actually do it! The only question is... how exactly? While most of Fantasy Flight Game's Star Wars RPG is a marvel of ingenuity and streamlined game play, things tend to get a lot less intuitive when it comes to flying around in star ships. 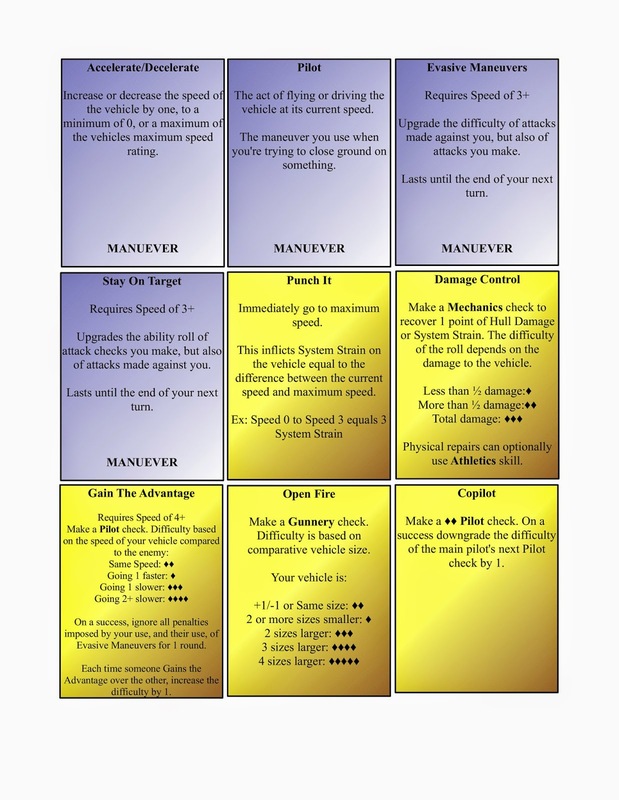 For one of our recent games, I developed this quick-and-dirty set of Vehicle Piloting cards as a cheat sheet. The cards below summarize the 9 most common actions you take in any vehicle - from speeder bike to Corellian Frigate. The cards are broken into two broad categories - the manuevers (in blue), and the actions (in yellow). As always, a character gets one manuever and one action on their turn. Use this cheat sheets as an ala cart menu, allowing the players to peruse their options and decide how they want to spend their turn. You can even consider printing these on card stock, and cutting them out to create a mini-set of action cards. Of course, the GM should never limit players to the actions listed on these cards. The Core Rule Book details half a dozen, less common, actions that a player might wish to take - and your players are bound to come up with brand new ideas the book doesn't even begin to cover. As always, be prepared for anything and be ready to make it happen! 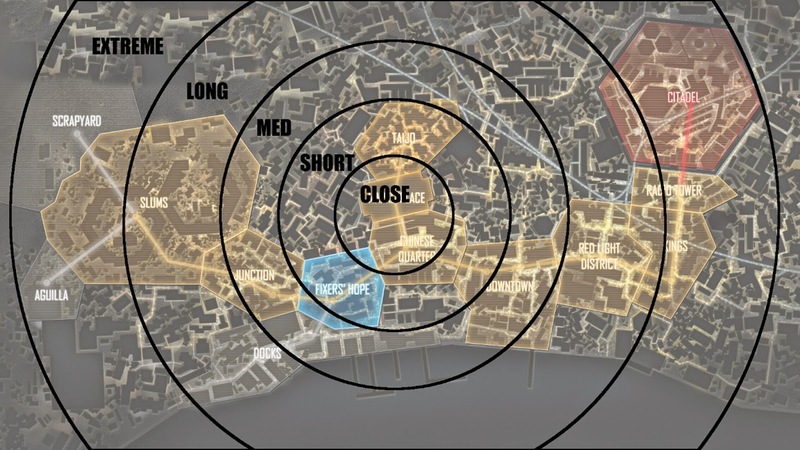 I've also included a handy distance map for the game. I use this to keep track of how far apart characters are in a race, or chase scene - but it can be used in any situation requiring approximate distances.